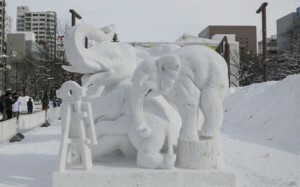 Thailand wins for the third consecutive year the International Snow Sculpture Contestat the Sapporo Snow Festival, Japan. Bangkok — 8 February 2013: The title of Grand Champion has again been bestowed on Thailand’s master ice craftsmen as they produced the winning entry in the 40th International Snow Sculptureat the 64th Sapporo Snow Festival, Japan, held during February 5-11, 2013. 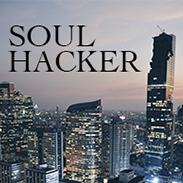 For this year, there were 11 international teams participating in the completion. 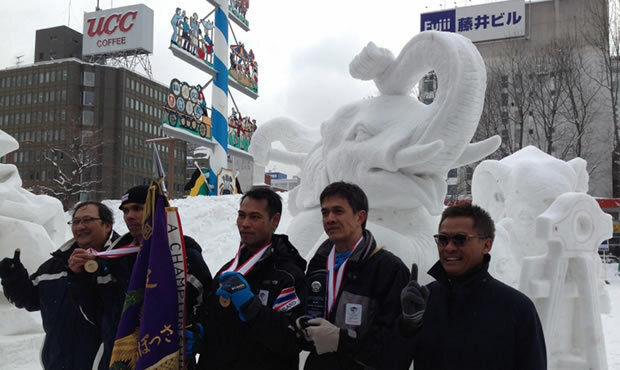 The Tourism Authority of Thailand (TAT) sponsored an ice sculpting teamand entered the snow statue The Artist from the Wild which represented the figures of 4 elephants, the national animal of Thailand. The statue depicted the elephants holding a paintbrush in their trunk and doing a delicate painting. The act symbolized the amazing artistic skills of Thai elephants that are in contrast to their size and strength. Such unique displays can only be found in Thailand. Elephants in Thailand are also very close to people as they are treated as members of mahouts’ family. 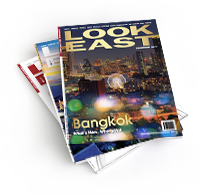 The sculptor team included Mr. Kusol Bunkobsongserm, Mr. Kritsana Wongtes and Mr. Amnoaysak Srisuk. On this occasion, Thailand also received the honor by the festival organiser HBC to showcase Thainess at the Odori Site, HBC Thailand Square. The snow statue of 28x15x21 meter Wat Benchamabophit or The Marble Temple, sculpted by Japan’s Ground Self Defense Force, the Northern Army Signal Group and the Northern Army Logistics Support Unit has been a hit with people attending the fair. In Photo: (From Left to Rright) Mr. Sugree Sithivanich , Executive Director, Advertising and Public Relations Department, the sculptor team from Thailand, and Mr. Kitsana Kaewtumrong, Director, International Advertising Publicity Division.